This is the new G-Shock Full Metal 5000 collection. 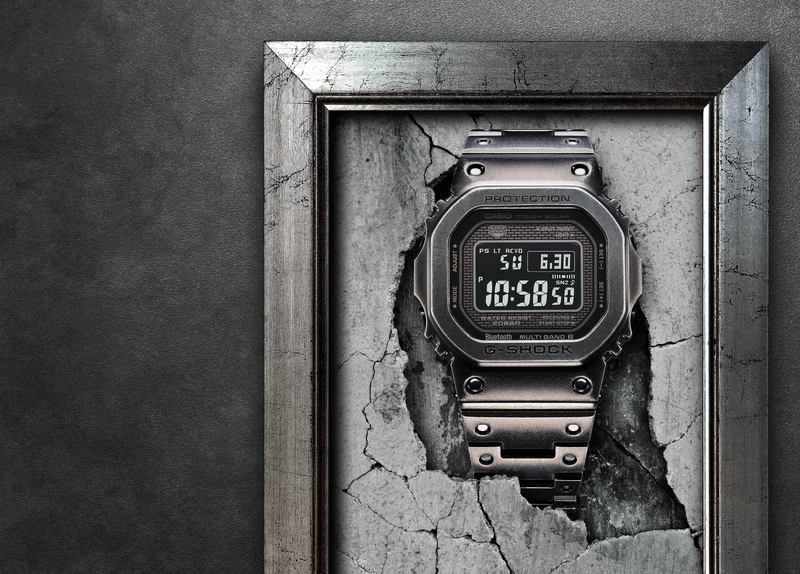 Taking the iconic square-shaped design of the original 1983 G-Shock DW5000 from 35 years ago, Casio has created an all-new full metal version. The G-Shock 5000 Full Metal series comes in stainless steel (as shown), or in a limited edition stainless model that’s gold plated. In addition to the new 43.2 mm x 43.2 mm stainless steel case and bracelet, this watch also features Bluetooth connectivity, a super illuminator LED light, and solar battery charging. Using two-way time sync via Bluetooth or atomic radio waves (G-SHOCK’s Multi-Band 6 technology) the watch time is automatically set. Other features include 200 meters of water-resistance, extreme shock resistance, world time in 39 cities +UTC, four daily alarms (one snooze), target alarm, 1/100th of a second stopwatch, full automatic calendar, and 12/24 hour time formats. 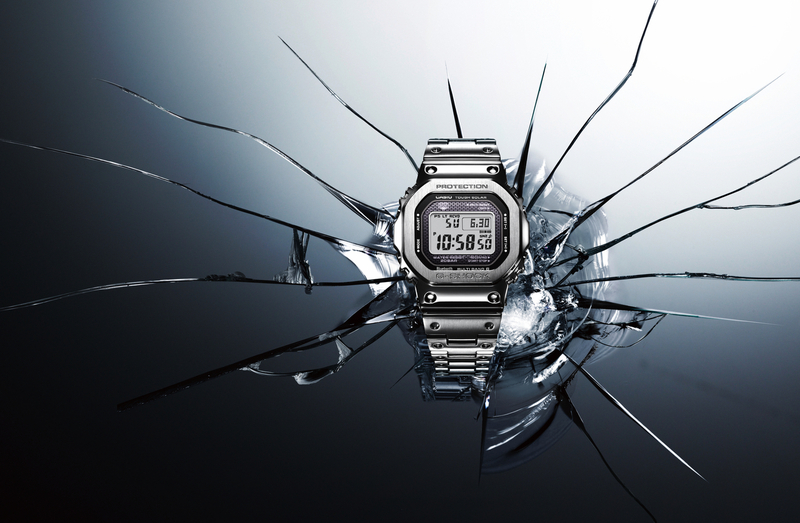 If you like the design of the original DW5000, Casio’s first G-Shock, which comes in a resin case, but want something more premium, this may be your ticket. 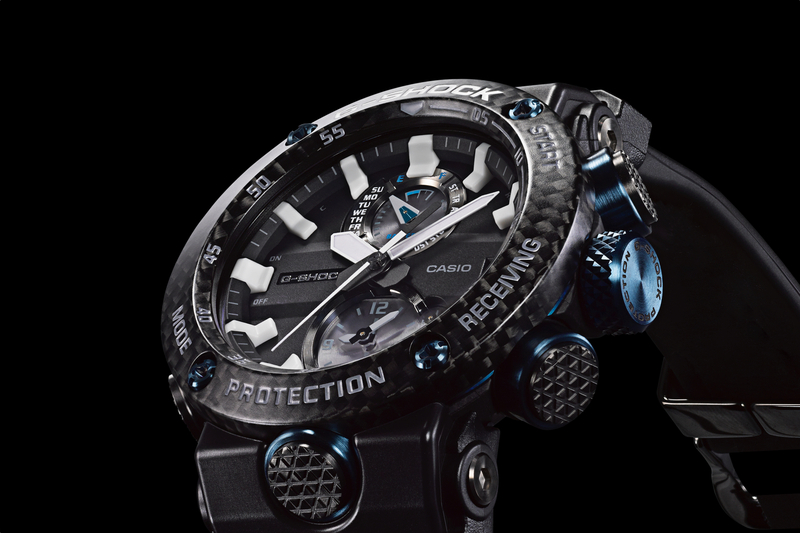 The price is very attractive and I predict this will be a big seller for Casio. The new G-Shock 5000 Full Metal (GMWB5000D-1) in stainless steel and (GMWB5000TFG-9) in stainless steel with gold-plating will retail for $500 and $600 respectively and will be available for purchase beginning May 2018 at select Macy’s, select retailers, shopcasio.com, and the G-SHOCK Soho Store.